I have included in the ZIP file all of the necessary fonts, but you will also need the UTFT library. You should get it from here. Keep in mind that the rotary encoder does not yet work on the Due. The relevant code is still a little buggy, but it should be fixed soon. Also the selection bars are buggy as well.. If you plan on using a MEGA (even though I would advise against it, see the video that follows) you could easily adapt the code to use the MEGA’s EEPROM (essentially use the original hifiduino code for the specific functionality) and omit the 24LC256. You should use a compatible remote control. You will know it is compatible if you see the IR codes displaying on the top right of the screen when you press the various keys. You will need to change the IR codes in the code to the numbers corresponding to your specific remote control (see CASE statement). 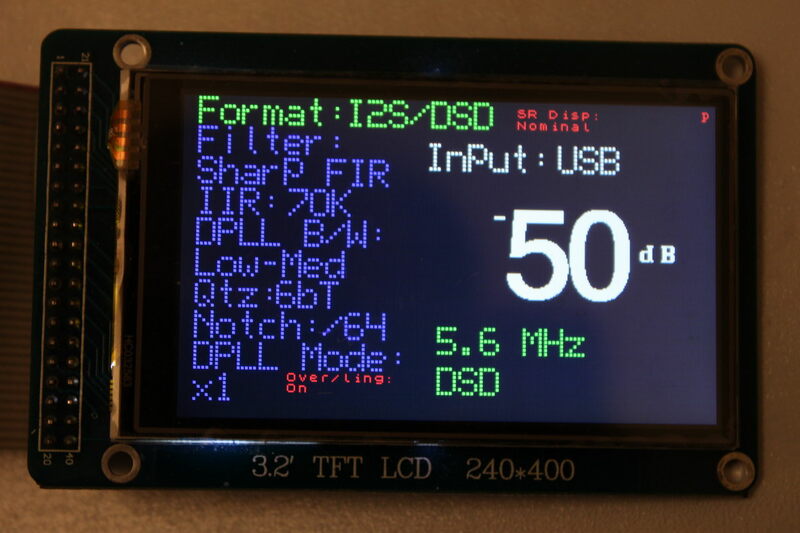 I have implemented a remote power on/off feature but the TFT’s backlight remains on all the time. That can easily be remedied by wiring a transistor as control for the TFT’s backlight.. However, since I plan on implementing dimming for the TFT, I will do it more elegantly in a future version of the code. This version of the code supports all 8 s/pdif inputs of the ES9018 as well as a 9th input (named USB) which is used for I2S/DSD input. You can of course easily change the number of the inputs as well as their names. I am using a sidecar for the switching between I2S & s/pdif. 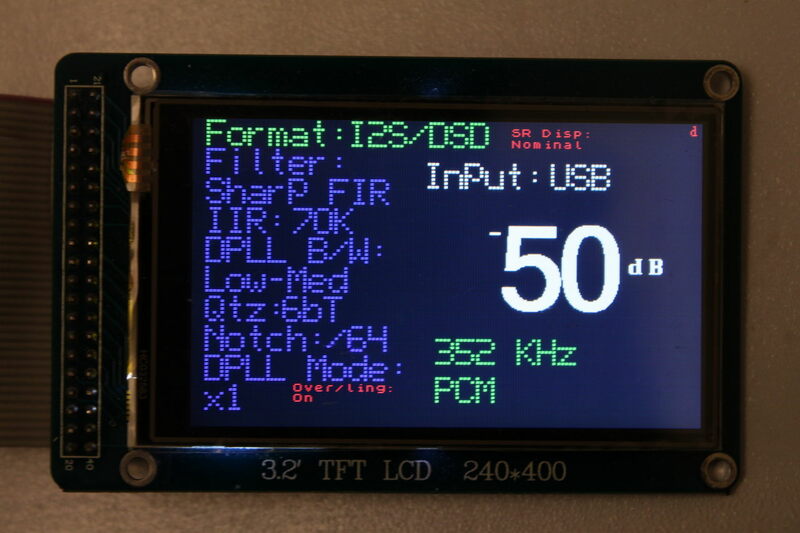 This entry was posted in Arduino, DIY Audio, TFT Hifiduino (code) by Dimdim. Bookmark the permalink.